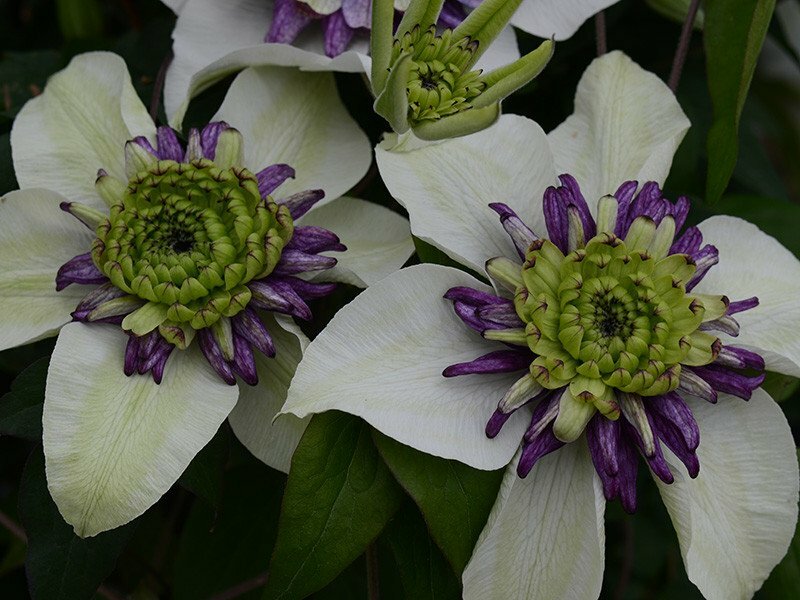 This unusual clematis has a flower that resembles a passion flower, with six creamy white (in summer) outer sepals, creamy green in autumn, which are overlapping making a fully rounded flower, especially as the tips of the sepals re-curve back. The outer sepals are offset by a dramatic central boss of purple petaloid stamens, creating a pom-pom effect. These remain for a week or more after the outer sepals have fallen away.